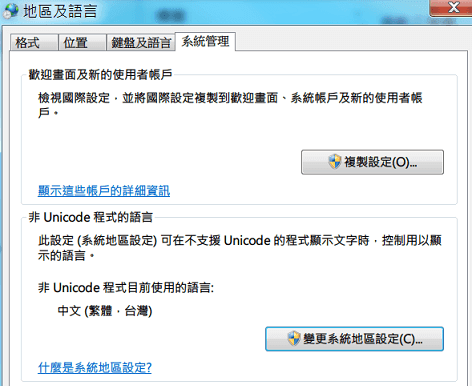 如果作業系統不是 Windows 的話，可參考這篇討論：Best way to convert text files between character sets? 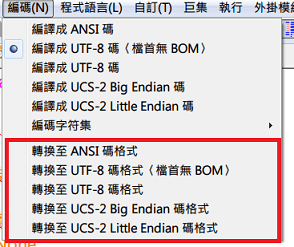 像 ANSI 與 ASCII 就是這樣的例子：Differences between ansi and ascii? The word “ANSI” is still often incorrectly used when talking about code page 1252 and also about other similar code page introduced by Microsoft for central European languages, Turkish, Greek, Hebrew, Arabic, Baltic languages, Vietnamese, and Thai. It is better not use for this. 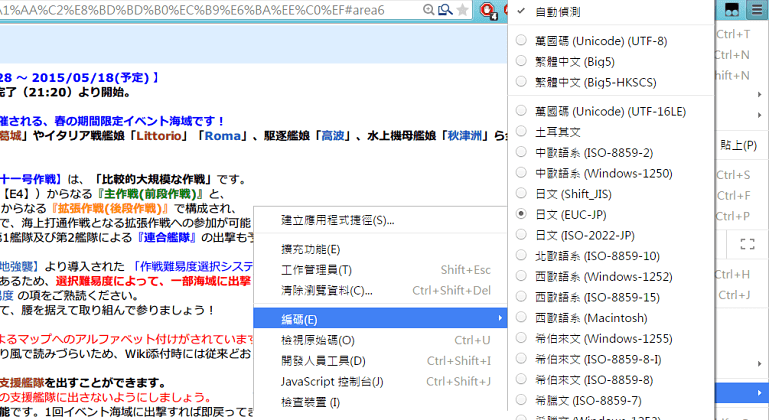 Essentially “ANSI”, when used in opposition to “ASCII”, means the Windows extended ASCII character set, usually code page 1252 but perhaps one of the other 256-character Windows character sets, or even all of them together. 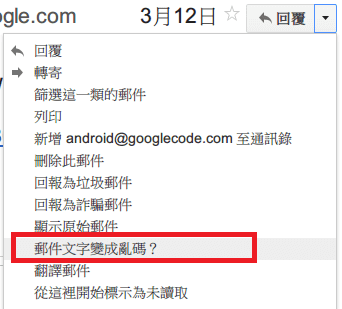 Make your apps Unicode-aware, for the good of mankind.